The Premier League has been awarded a High Court order for the forthcoming 2017-18 season, which will help it combat the illegal streaming of games. The blocking order will require UK Internet Service Providers (ISPs) to prevent people from illegally accessing streams of its matches. It will allow the league to combat the illicit sale and use of devices such as pre-loaded IPTV and Kodi boxes. A similar order was obtained for the final two months of the 2016-17 season. 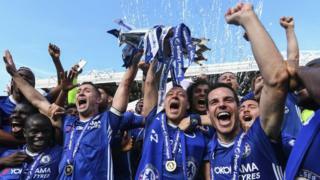 That saw more then 5,000 server IP addresses blocked that had previously been streaming Premier League content. Sky and BT Sport hold the live rights for Premier League football. The two firms paid a record £5.136bn for rights to show live matches for three seasons. Kodi is free software, built by volunteers, that is designed to bring videos, music, games and photographs together in one easy-to-use application. Some shops sell set-top boxes and TV sticks known as Kodi boxes, preloaded with the software. However, the software can be modified with third-party add-ons that provide access to pirated copies of films and TV series, or provide free access to subscription television channels and programmes, including sports events. The English top flight League is currently undertaking its biggest ever copyright protection programme. Its anti-piracy efforts have also contributed to a range of prominent apps and add-ons being closed down as the law catches up with them. “This blocking order is a game-changer in our efforts to tackle the supply and use of illicit streams of our content,” said Premier League Director of Legal Services, Kevin Plumb. “It will allow us to quickly and effectively block and disrupt the illegal broadcast of Premier League football via any means, including so called ‘pre-loaded Kodi boxes’. Just under a third of fans do not know whether it is illegal to stream live Premier League matches online from unofficial providers, but another third believe it is always illegal.